Complete a complicated route with lots of carrots and obstacles on your way. Don't hit anything on such high speed, or your race will be over. 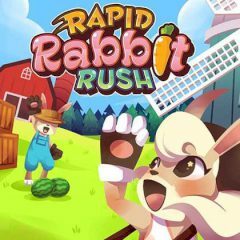 This rabbit is ready for some rapid rush, but the main question is - are you ready for it? Take control of him and complete this long route collecting carrots and avoiding obstacles.